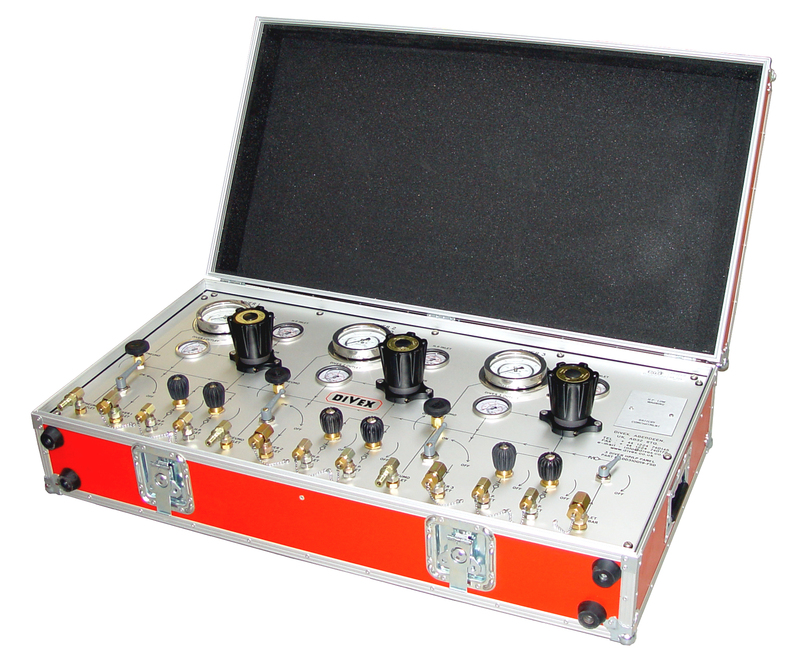 A portable carry case mounted, uncomplicated Divex three diver control panel with independent air supplies for each diver backed up by an additional low pressure supply connection. Two high pressure (HP) inlets (1/4 BSP male) supplying air via HP cylinders allowing change over without interruption during activities. 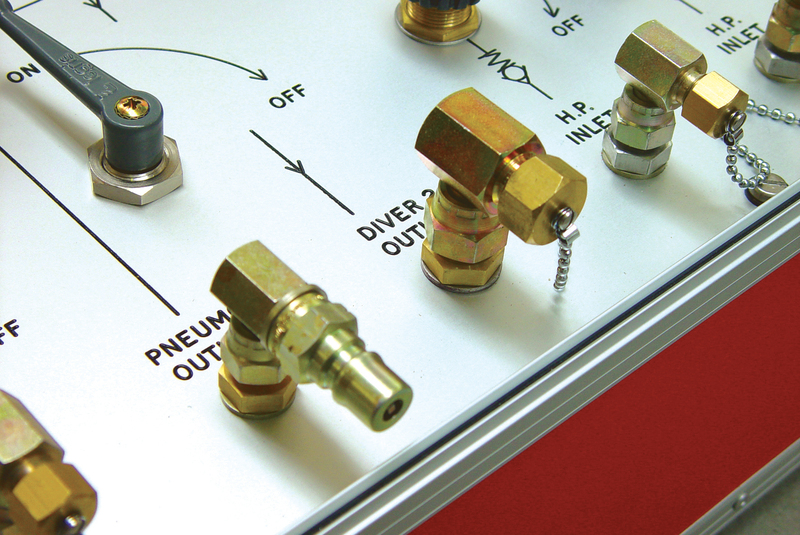 One high flow HP regulator reducing HP inlet gas pressures of up to 350 bar/5000 PSI down to low pressure (LP) (0-30 bar) supply to diver. 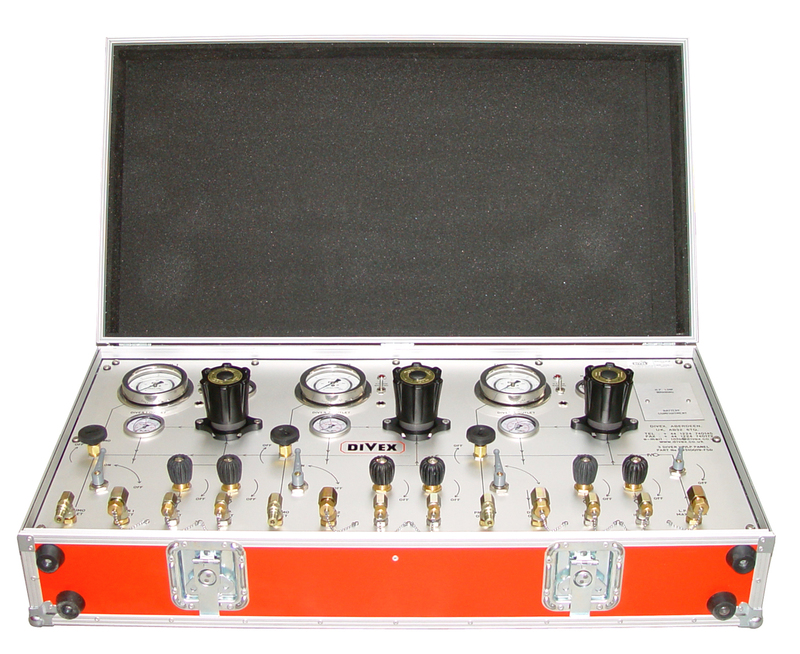 HP inlet pressure gauge (400 bar/6000 PSI). LP outlet pressure gauge (21 bar/300 PSI). 4” 0-60 Msw (200 ft) pneumo depth gauge. Diver air supply outlet (3/8” BSP). Diver pneumo outlet (1/4” BSP). Electronic audio/visual alarm to warn/alert surface tender when HP air supply reaches preset limit (50 bar).